Catherine Cox’s consulting room is conveniently located for public transport. There is also parking nearby. The consulting room is located in the red brick block adjacent to the back of the Church of St Bartholomew the Great. Barbican underground station is 3 minutes walk. St Paul’s and Farringdon stations are approximately 7 minutes walk. 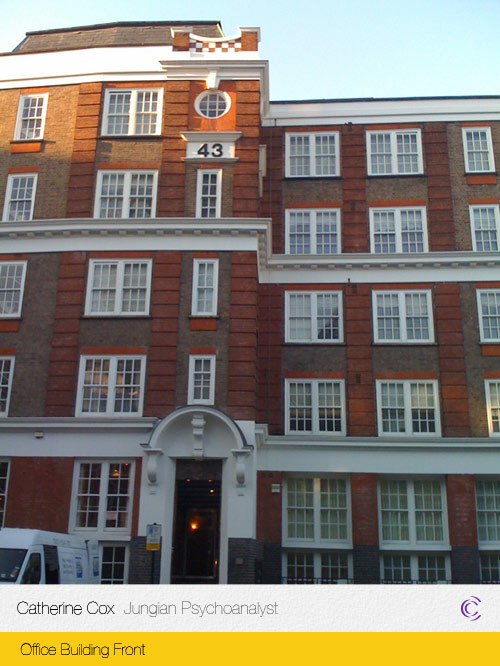 Moorgate, Mansion House, Blackfriars, Bank, Cannon Street and Liverpool Street underground stations are all within 15 minutes walk. Farringdon, City Thameslink, Moorgate, Blackfriars, Cannon Street and Liverpool Street stations are all within 15 minutes walk. Routes 4, 56, 153 and 100 all stop within 4 minutes walk. 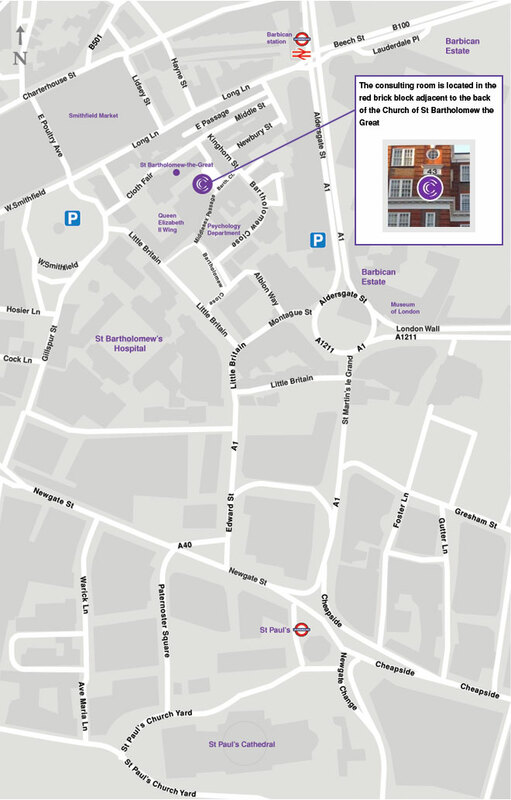 There is a City of London car park in Smithfield and an NCP car park in Aldersgate Street – both about 4 minutes away.